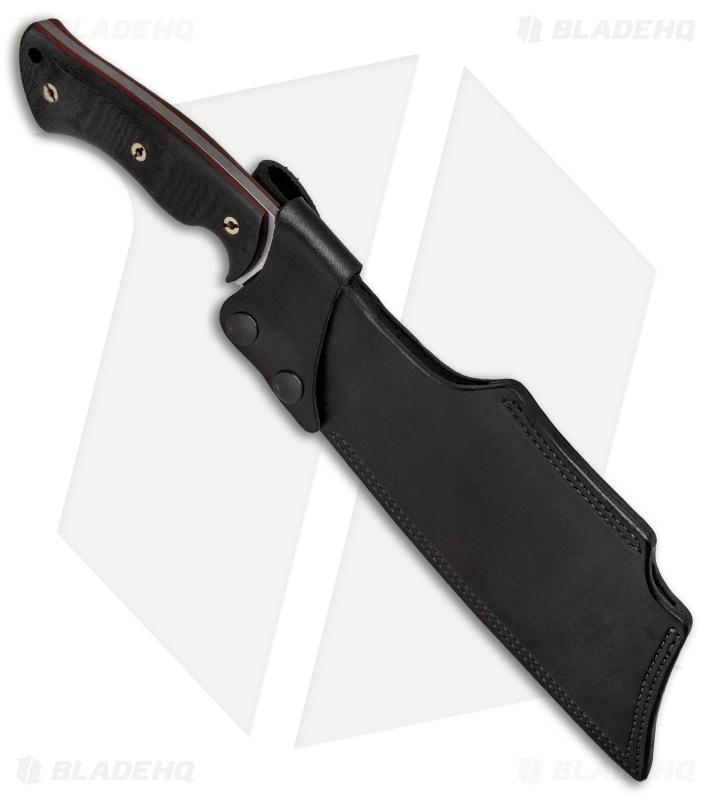 This Hooligan fixed blade is outfitted with Black Micarta handle scales over red G-10 liners. Its blade sports a two-tone tumbled finish. The Hooligan is a beast of a cleaver fixed blade from Dark Timber Knives. 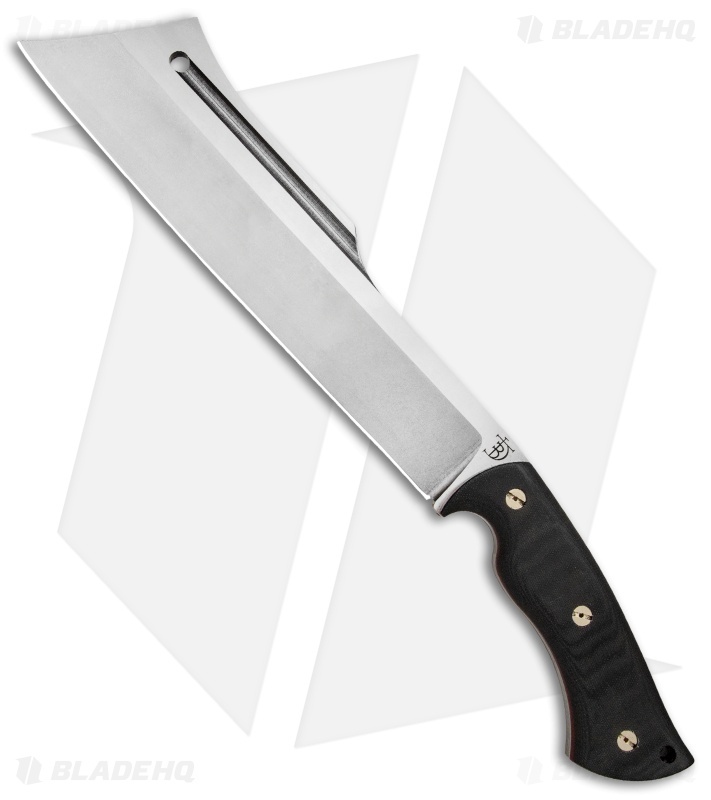 It represents a collaboration between Peter Kohler and Hezikiah Menacho, who based this model on the infamous Warcleaver fixed blade. The Hooligan is an undeniable workhorse, with a 1/4" thick CPM-3V blade that will make light work of any heavy duty cutting chore. An ergonomically contoured handle provides a high performance grip for effective long-term use. Item includes a high quality custom leather sheath for secure belt carry. 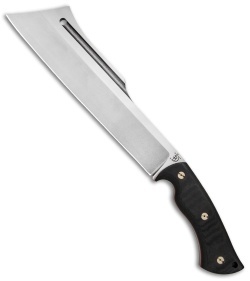 CPM-3V blade steel offers extreme strength, durability, and cutting performance. An ergonomically designed handle provides a comfortable and secure grip free of hot spots. 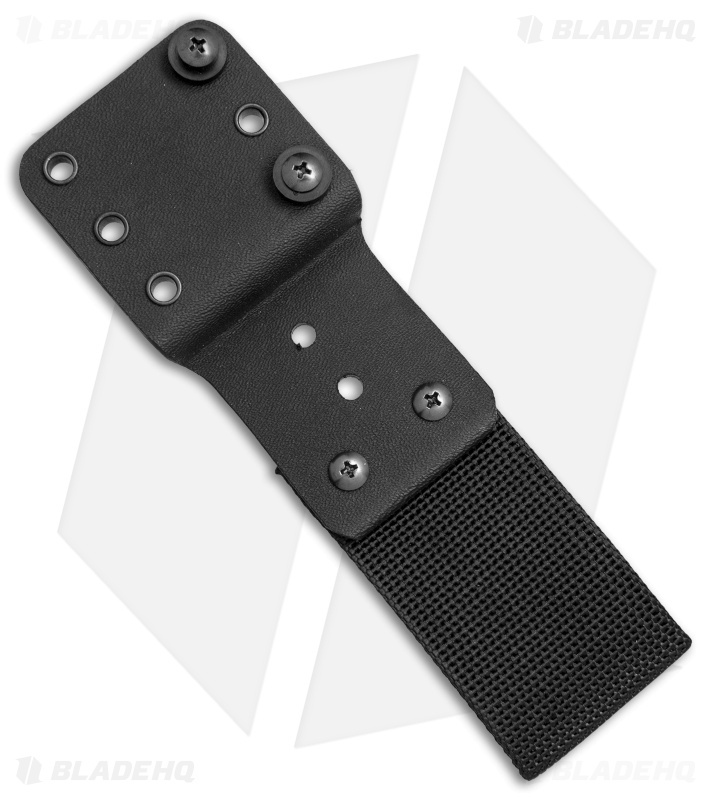 Item comes equipped with a custom leather sheath for convenient belt carry.